Learn ~ Play ~ Have Fun! There are plenty of opportunities to join in and have fun on a more organised basis, either joining in our performances, attending Saturday Rehearsals for more experienced players or actively learning at our regular Wednesday Workshops. Performances are usually in the Leeds area but we have also played at events in York, Birmingham, Otley and Wakefield. 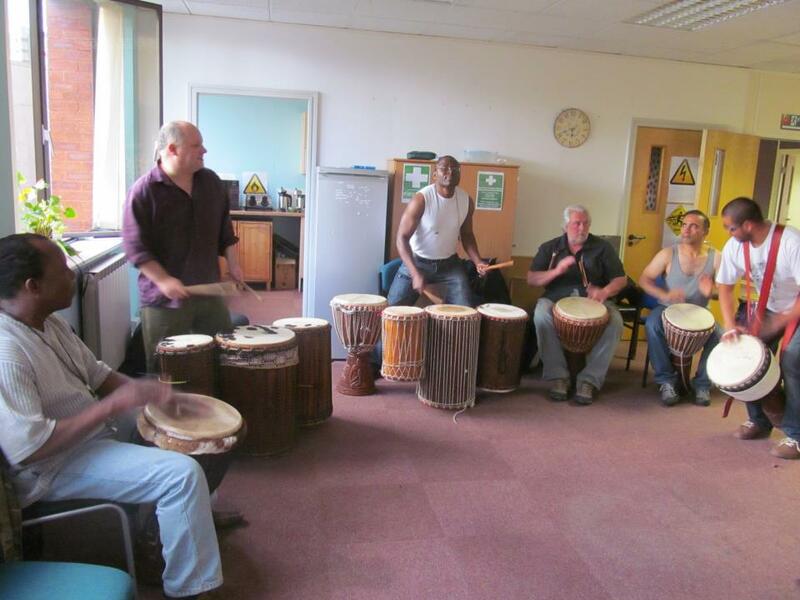 A friendly atmosphere every Saturday afternoon where everybody gets the opportunity to work though current rhythms within the Songo performing set. There is no commitment for individuals to take on their skills to an actual performance but it is great to work to that standard. 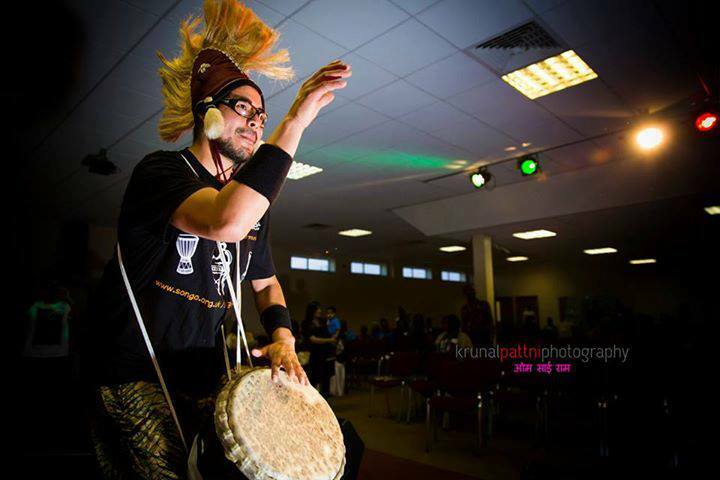 Diego is our resident djembefola and leads the classes on Wednesdays. He has a relaxed teaching style and always manages to bring out the best of potential without you even realising it! Painless! 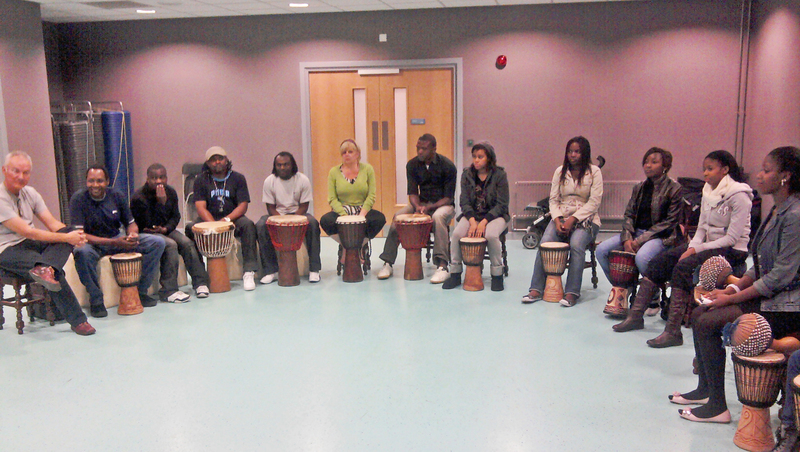 With djembe drum classes by Songo Drumming Project, you’ll learn how to play djembe and dun duns and feel the sound and energy of the Rhythm from West Africa. If you don’t have a drum, we’ll lend you one for the session. 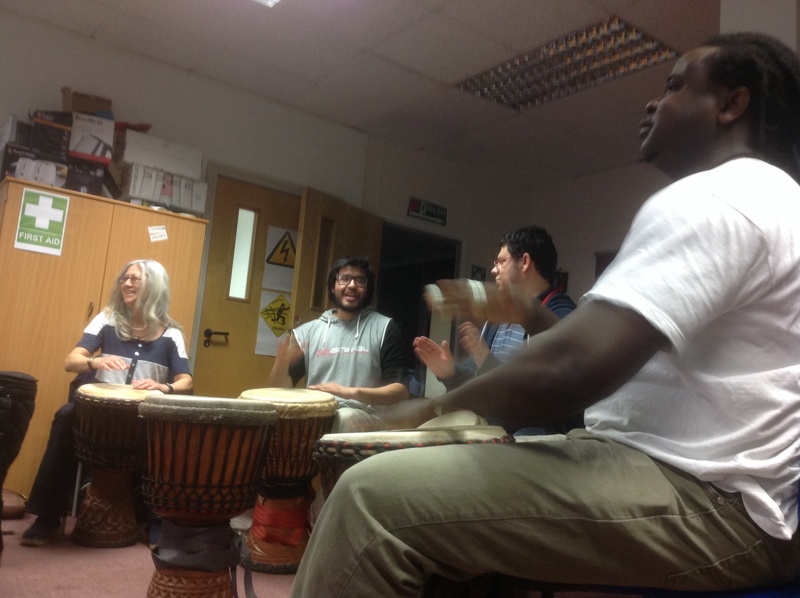 Don’t miss this opportunity to come and learn to play for just £6.00 for a 1.5 hour session of drumming in a creative and friendly atmosphere — it’s great fun and great value for money. 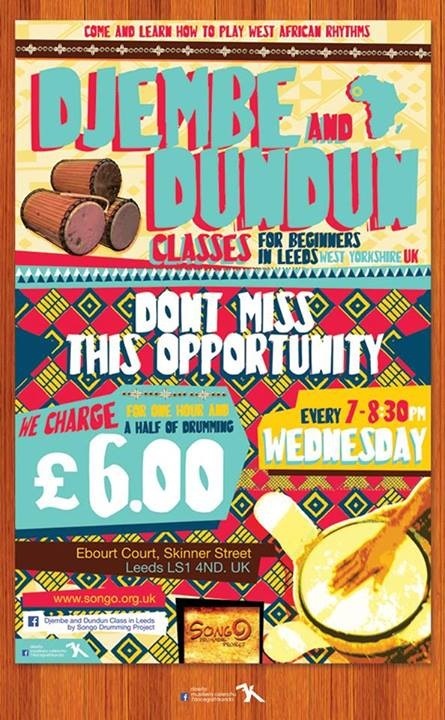 Classes are every Wednesday evening from 7 – 8:30pm at Ebor Court, Skinner Street, Leeds LS1 4ND. 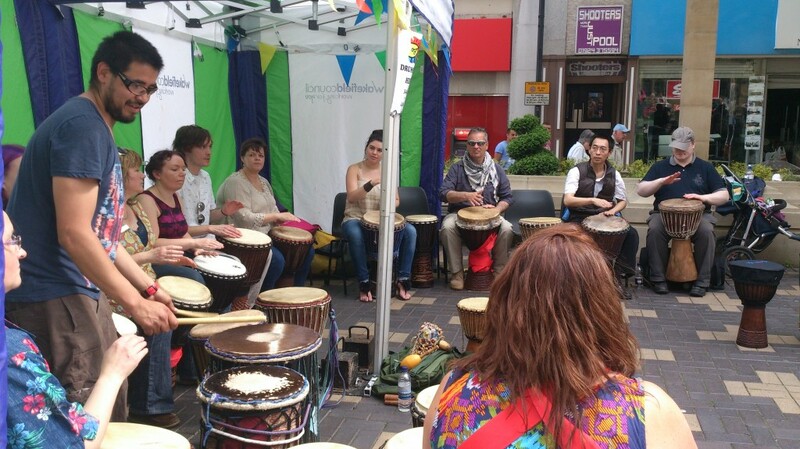 One of our outdoor drumming workshops – people come to play, learn or simply have a good time!